This week we welcome guest blogger Emma Clark of The Art of Home Renovations. Welcome, Emma! When you want to save money, the first thing you have to consider is downsizing your utility cost. Why? You may think that paying expensive bills is unavoidable given your family’s circumstances, but that shouldn’t always be the case. 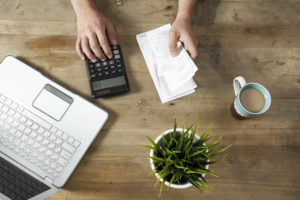 In fact, with just a few changes in your house and family’s lifestyle, you can reduce the cost of your bills by a significant amount every month. The benefits? You can minimalize the stress come every payment due, while also minimalizing your monthly expenses. 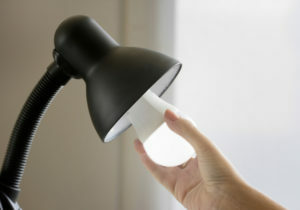 Replace your light bulbs with more energy efficient ones. Today, we are blessed with the modern invention of LED and CFL light bulbs. Compared to the traditional incandescent bulbs, they emit more light in the home for less the energy cost. Moreover, these new bulbs are more durable than others, and work well even in cold weather. That means less replacement cost over the whole year! So, if your house is still filled with incandescent light bulbs that burn up a lot of your monthly budget, maybe it’s time to make this change in your home. If you don’t have one yet, then consider replacing your thermostat with a programmable one instead. 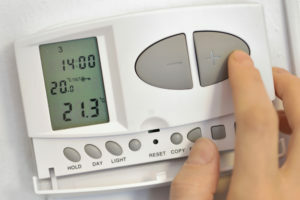 A programmable thermostat has one main benefit that we all love– they can reduce your energy costs by turning the heat up or down based on a bunch of programmed settings. How does it work? Well, you can set your thermostat to turn the heat down at times when no one is at home (or sleeping). Inversely, you can also set it to start heating up just before you arrive home. In this way, you can cut down on energy used to heat up your house while nobody’s home, sleeping, etc. When there are cracks and openings in your home that a draft can enter through, you have an “air leakage”, which can decrease the efficiency of your heating system. Air leakages can steadily increase your energy costs while decreasing the quality of air in your home. So what can you do to fix this problem? The solution is simple: detect air leaks around your home, then perform air sealing methods such as caulking or weatherstripping. Newer houses can be easy to air seal. 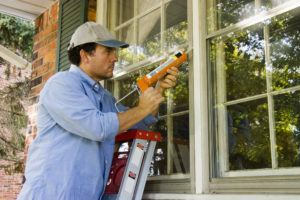 On the other hand, older houses may require complete remodeling to get rid of the air leaks. Either way, consider air sealing as a long-term strategy for home energy efficiency. Do you hear a soft “drip, drip, drip” from your bathroom sink? Well, you have no business ignoring it, then! You may not realize, but these tiny leaks and damages can add a significant cost to your utility bills. What are the areas you have to check for damage? Obviously, you have to check the sinks first. 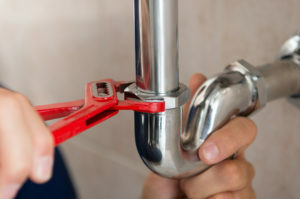 Any leak or damage can be easiest to repair for a sink. Next, take a look at your water heater. Is it leaking? Grumbling? Or is it spurting rusty water through your showers? Well then, it may be time to replace them, for any noise or leaks can mean a faulty water heater; something that adds a lot of energy cost. Of course, you also have to check your pipes for leaks. If you’re living in an old house, then you must do this regularly. Bottom line is: anything with a leak must be patched, repaired, or replaced. 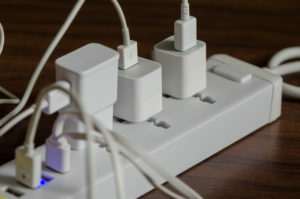 The smart power strip is another great invention for downsizing the home’s energy costs. You can buy one or two of them for a relatively cheap price, and place them in rooms where a lot of appliances/gadgets are being used. These smart power strips can turn itself (and everything plugged into it) off at a certain time, thus eliminating the phantom charge. On a similar note, it’s also wise to unplug all electrical devices when unused. You may not notice it, but everything turned off but plugged into an outlet still consumes electricity. The result? An unnecessarily bigger bill. Things become a little bit easier in the home when you have no big bills to think about. In your endeavor of downsizing and minimalizing your new year, make your house bills a part of that. With just a few changes in your home, you can enjoy cut-downs on your energy and utility costs every month. Did you like this article? If you did, feel free to leave a comment and tell us what you think about downsizing your utility cost. Don’t forget to share this with your friends, too! Thanks for reading.